George Michael donated almost $500,000 to a Los Angeles-based AIDS charity and spent time working in its kitchen to help feed people too sick to shop and cook for themselves. Michael, who died on Christmas Day 2016, also handed over a Mercedes to the volunteers of Project Angel Food. Michael made his first donation to the charity in 1993, the year he lost his 36-year-old lover Anselmo Feleppa to AIDS. Although Michael refused to allow the charity to honor him, Project Angel Food commemorated the singer last year with an award for leadership at their annual Angel Gala in Hollywood. Since Michael died the charity has been inundated by fans who have loyally pledged their support. 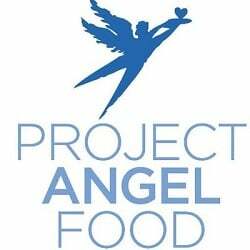 Project Angel Food now cooks and delivers 10,000 meals a week to poor people not only living with HIV/AIDS, but also those with cancer, kidney failure, heart disease and lung disease. Watch a clip from the documentary George Michael: Freedom below.